Not sure where to start with this one. Not because it was bad, but because it was so great! I was well rested, even woke up before my alarm went off. We could hear the music from the pre-race party from our room (I'm glad we were in the race, I would not have been happy if I was a guest at the hotel and got woken up at 3:30 in the morning!). Because our hotel was literally right at the start line, I was able to walk down and get right into my corral. I got down there around 4:45 am, and was able to be right at the front of my corral, which is where I wanted to be. Waited for a while, met some other single runners, chatted and then finally it was time for the first corral to start! We took off down the street and then entered into Disneyland. 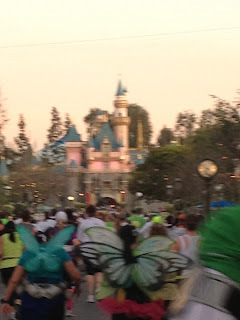 Ran down mainstreet towards Sleeping Beauty's Castle. 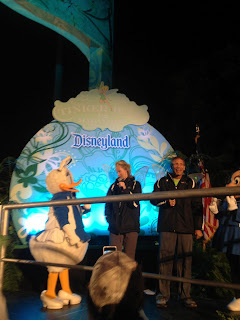 After running through Disneyland, we headed back out and down through Downtown Disney. It was so nice to see people cheering everyone on. There were signs everywhere and people clapping, cheering, cow bells, everything. Most of the signs were for a certain person, but there were some that were for everyone. My favorite sign of the race- "Worst Parade Ever" it just made me laugh- and with many more miles to go, I did need to laugh! Not long after the parade sign as we left Downtown Disney and ran past the Disneyland Hotel, we were met by the Red Hat Ladies cheering us on. These ladies were amazing! There were so many of them and they were easily the best cheering section on the race! Lots more running around the streets and finally we entered into California Adventure- this would have been about mile 11. Leaving California Adventure meant it was almost over. I was almost there! Rounded a few more corners and there was the finish line. I'd made it :) I'll admit it, I cried a little- I wasn't hurt, but I was so proud. I finished the first half of my deployment challenge to myself. I hadn't been swept off the course, I had made it- finished in 3:31:03- average pace 16:06. That is a number I am happy with- for now. Next month, new race, new PR goal! Most important to me though was finishing and the pride I felt in myself. My plan was to go out fast (not as fast as I could, but just faster at first) to allow myself a cushion for later on. I wanted to make sure I was under the pace. I didn't care if I was the last one to finish as long as I was able to finish, and I was. Next up- Princess Half Marathon! I came across your blog while flipping through a few others a few days ago. :) I AM SO JEALOUS of you getting to do the tinkerbell and princess halfs. 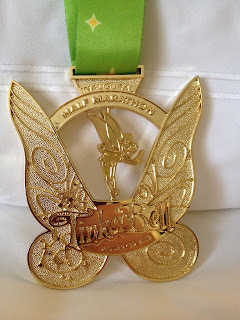 A year and a half ago, I set a goal that I was going to run the princess this year, but i just cant get motivated. I still am at 2 miles! UGH. 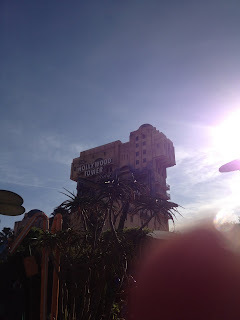 Thanks for your upbeat attitude..my goal now is Tower of Terror in September.